Discovering your faults is infinitely more productive than finding faults in others. - Sh. Muhammad Alshareef. Click to Retweet this. When you are tested, feeling impatient or hungry or frustrated, say "Inni Saim[a], Inni Saim[a]". The Arabic word تكلم, to speak, has another root meaning كلم, to wound. How many people have we wounded with our words? Click to Retweet this. "Yesterday I was clever, so I wanted to change the world. Today I am wise, so I am changing myself." - Rumi's poetry. Click to Retweet this. 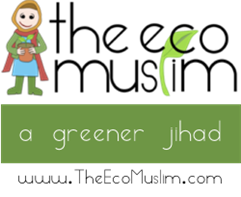 Cut down Ramadan waste by using Green Prophet's food tips. Click to Retweet this. Divide your lists and documents of `Ilm classes and activities into desktop folders and label them: Sunnah, Salah, Cool Quotes, Food-related, etc. 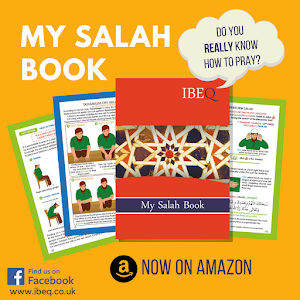 Motivate little ones by involving them in Salah Achievements. Prizes & Points (: Download the chart http://t.co/gMZDezWb Click to Retweet this. "Read Quran with its translation to understand what Allah is saying and build up our Arabic vocabulary" -Sh Haitham Al Haddad. Click to Retweet this. 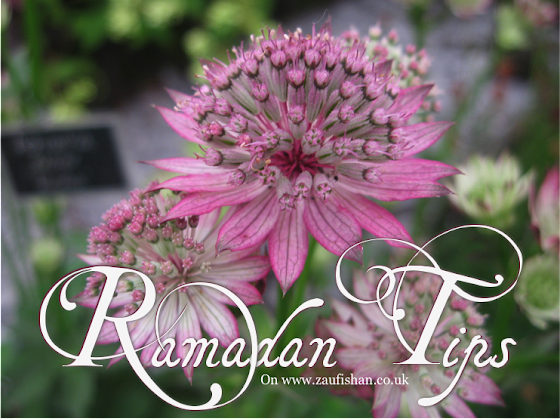 Make productive use of technology by compiling a Ramadan specific audio list using iTunes or your media player. Instead of listening to music when bored, try listening to natural sounds like running streams, birds and the wind. Click to Retweet this. "Let us discharge our spiritual, social, economic, cultural and even political obligations before Ramadan begins. Not to do this would mean we have failed to prepare well for the Ramadan". Article link. "Free your conscience, ask Allah for forgiveness," Prophet Muhammad's Ramadan Khutbah is still relevant. Reading one Subhan-allah gets you a tree planted in Jannah. Click to Retweet this. ‎'You are not part of this Dunya [world] and the Dunya is not part of you.' Click to Retweet this. Don't let this Ramadan be just a holiday of rituals. Don't finish reading the Quran without it transforming you. Don't feed your body at suhoor, but starve your heart of Qiyam. Don't reduce this downpour of mercy to just a month of sweets and lavish iftars. Seek Him, you will find. - Yasmin Mogahed. Muslim smokers: Use the 'Stop Smoking Service' Manchester's health campaign for raising tobacco risk awareness http://t.co/L3Ojn7FY @SmokeFreeMcr. Click to Retweet this. "Your presence gives me the internal confidence to not only believe that I can have the goals that I have, but also to realize those goals. You play a role in helping me understand myself. You help me gain the courage I need to not be afraid of my potential. You help me in getting closer to Him. And once the month is done, you play a role in helping me sustain it. Your presence is quite impacting in the development of my relationship with my faith and God, and your absence is just as impacting. Most of the time what ends up missing once Ramadan is done is not me or anything I brought to the table, but its you and what you helped me bring." - Imam Khalid Latif.